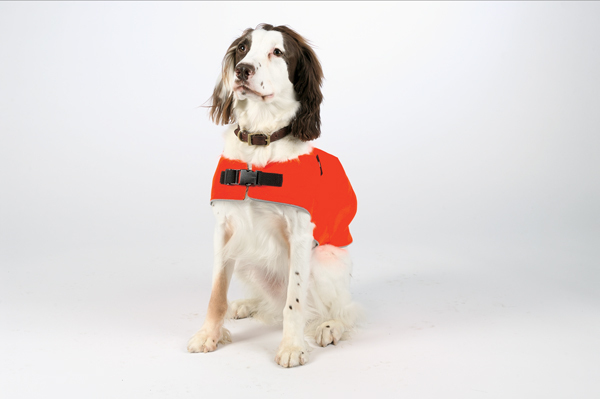 * The canine Field Jacket was designed for times when your dog needs a little extra protection from the elements. 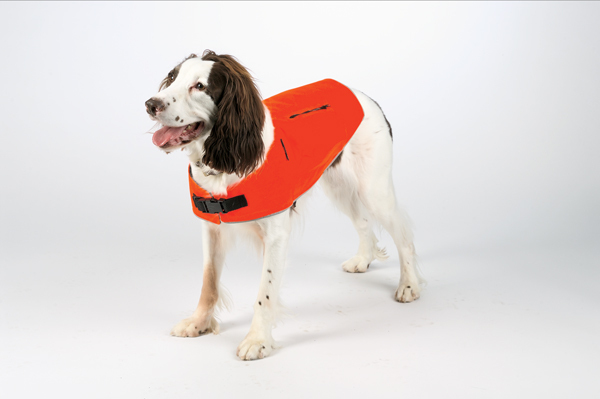 * Available in Blaze Orange with Reflective Trim. * Water resistant 100 denier Cordura nylon outer shell for superior durability in the field. 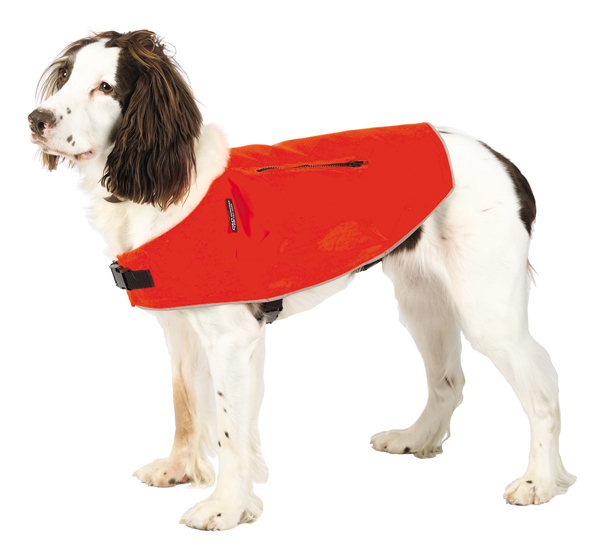 * Efficient 100 gram Thinsulate insulation is lightweight and will not absorb water. * Ripstop inner liner for comfort and durability.